Incomplete weather data as we were docked. I’m currently sitting on the Oregon II docked in Pascagoula, Mississippi after a long travel day. It’s eerily quiet as the ship disembarks tomorrow at 14:00 and the majority of the crew will arrive tomorrow. I am enjoying the slow introduction to this ship and finding my way around. The OOD (Officer Of the Deck) gave me a tour of the ship that I will be working on for the next two weeks. The majority of crew is on shore for the Labor Day weekend but will return tomorrow as we disembark and head towards Florida. Our plans have changed due to Hurricane Harvey and debris that may be in the waters making the travel in those waters unsafe. Due to Hurricane Harvey, the area being surveyed has changed so that we are heading East instead of West to pick up the third leg of this survey that ended off the coast of Florida last week. I have been assigned the day shift from noon to midnight and will be assisting the science crew. 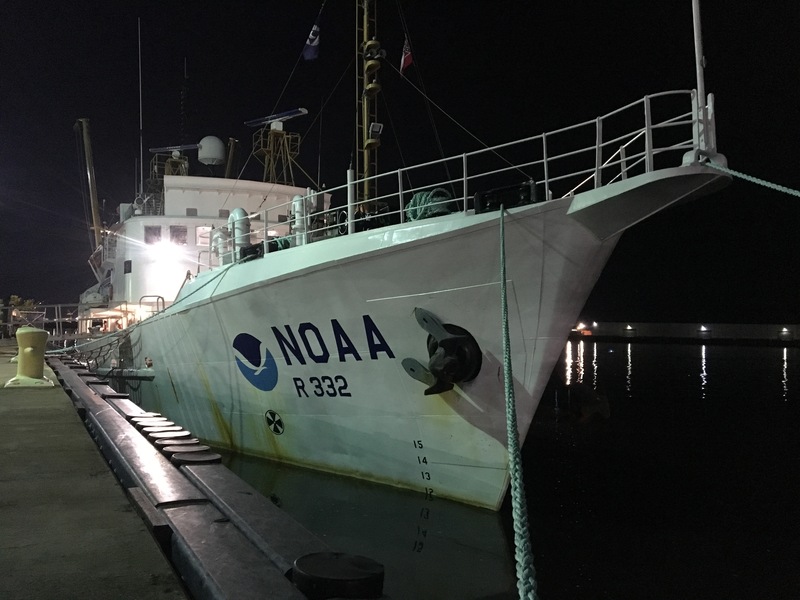 The mission of this survey is to monitor interannual variability of shark populations of the Atlantic coast and the Gulf of Mexico. Additionally aboard are two scientist that are on board are studying parasites that these animals carry. Carlos and Brett, the two parasitologists, were on the second leg right before I joined. Their leg started on the tip of Florida and ended where we will start. Seasick? 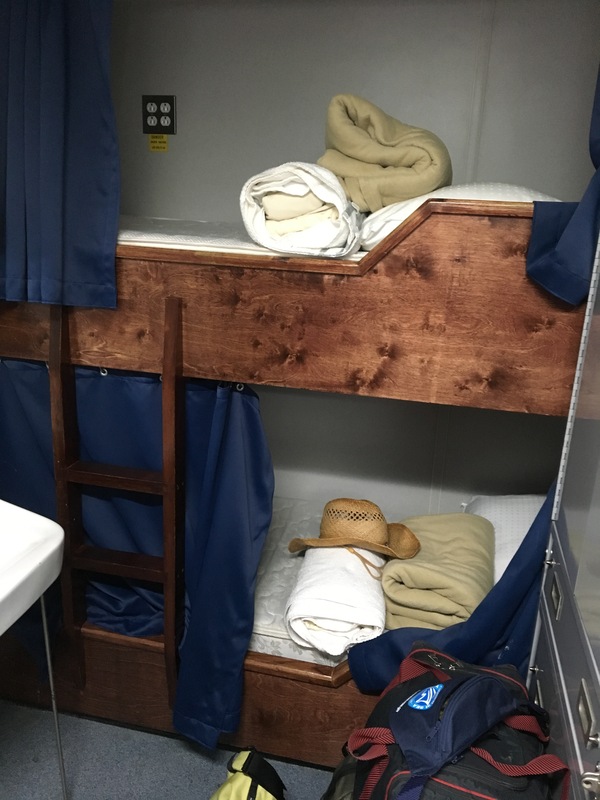 Felt a little queasy after my first night in dock! Decided the best course of action was to take some medicine, eat a big meal and hydrate to help get my sea legs. Everyone has been friendly and welcoming as we get started. The night crew starts tonight at midnight till noon and the day crew, where I am been placed, will start at noon. Hoping for a good night’s sleep! My bed is the bottom one! Sharks have been around since the dinosaurs approximately 450 million years ago. 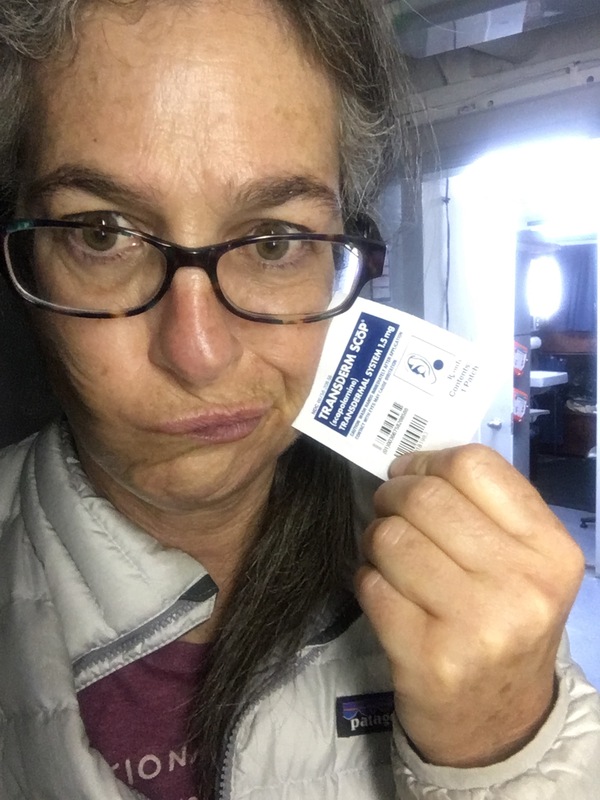 This entry was posted in 2017, NOAA Teacher at Sea, Susan Brown and tagged Gulf of Mexico, hurricane, NOAA Ship Oregon II, Pascagoula, shark survey. Bookmark the permalink. Is it possible for a shark to have a missing fin? As if a human had a missing limb? Christian, one of the NOAA scientists, says yes, a shark can have a missing fin. They have pulled sharks with missing fins. Could be caused by fishermen, other sharks or disease. Trey says yes they can still swim. I still it true that if you hit a Shark on its nose it will retreat? Not necessarily. Sharks can’t swim backwards so retreating wouldn’t happen. A shark is a predator and uses the element of surprise. If you fight back this would be surprising for the shark and would possibly back off because it doesn’t want the fight that might damage an eye. The nose isn’t anymore sensitive than other parts of the shark’s body so just not acting like prey is your best best. What happens if the shark loses an eye? Could it still see? Christian, one of the on board NOAA scientist, just wrote a paper about this very thing! He had been studying a Bullshark that lost an eye and the shark was doing quite well with the loss of an eye. The damaged eye was healed over with skin. The eye on a bullshark is small and hunts in murky water. The shark uses other sense to detect prey like electromagnetic sense, olfaction and mechanosensory (sensing movement). Do they have any medical room or such in case you get a big gash in your arm and need stitches or do they somehow fly you out. Have you seen captions quarters? How’s it like? There are Med PICS (trained medical personnel) that can help with minor things. These meds with talk with someone on the mainland to help with medications if needed and can sew minor stiches. Anything major, a call goes out to the Coast Guard, and they get you to the mainland via helicopter. If the ship is close to shore, a small boat can be deployed to get you to the mainland for treatment. Are sharks more territorial than other animals? Some species maybe but it’s a hard thing to study in a marine environment. Christian, the on board scientist, some species yes and some species no. Does global warming effect how a shark swims or acts. In theory, warmer waters would impact migration and food availability. As waters warm up, potentially their ranges could expand. Could be issues with less oxygen in the water as warm water holds less dissolved oxygens which the shark needs to survive. Sharks do not fossil well although their teeth do. Diego: have you ever pulled up any other big fish that are not sharks? What are they? What kind of bait do you use? We are using mackerel for bait. We have brought up some giant eels, red snapper, suckerfish and even a scallop.